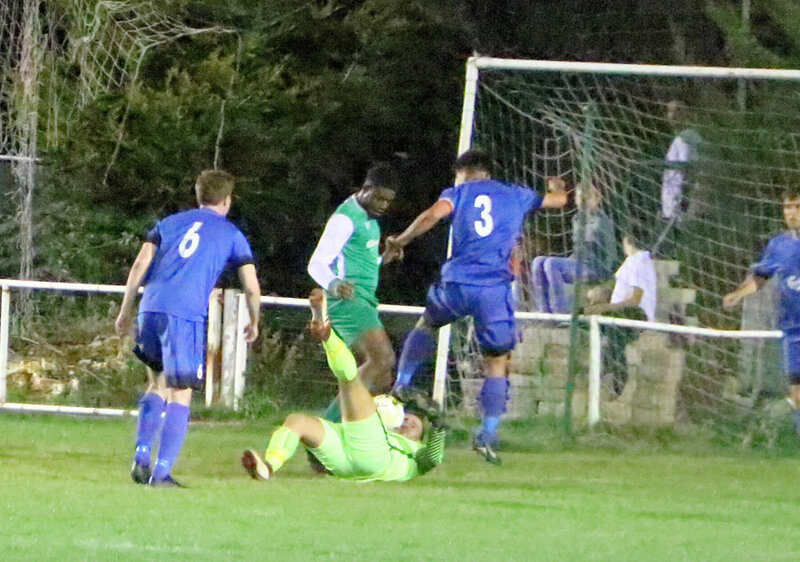 A very tough 0-0 draw against Edgware Town was about the right result on 90 minutes It was hard, tough at times and as always in a tight draw no doubt both sides will see the moment that victory could have been the points for the evening. 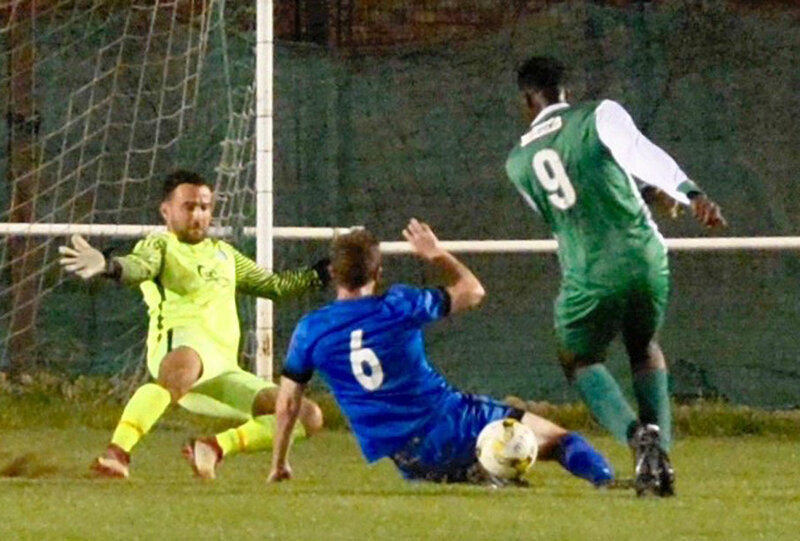 Jets had far better of the first half and were brightened by an excellent debut by Sean Giordmaina, another young up and coming teenager who is scoring regularly for the reserves in their fantastic start to the season that sees them lead the HCL Division one at the moment. 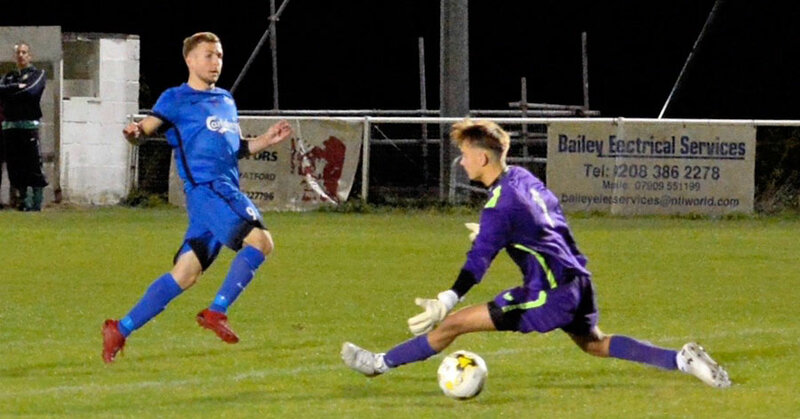 Jets had the early chance when Nick Kerley broke clear one on the keeper but to his evident frustration lost control, and the opportunity was lost. Nick Kerley then did find the net but the goal was ruled out on the latest of late flags, it took an age, and neutral watchers tell me on the stand side it was a wrong call. 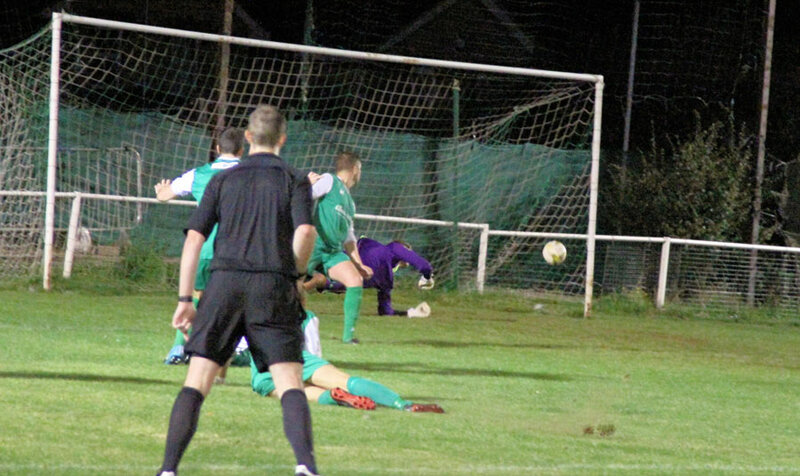 Brave save by Matty Evans, nearly getting booted by Tom Gibson. 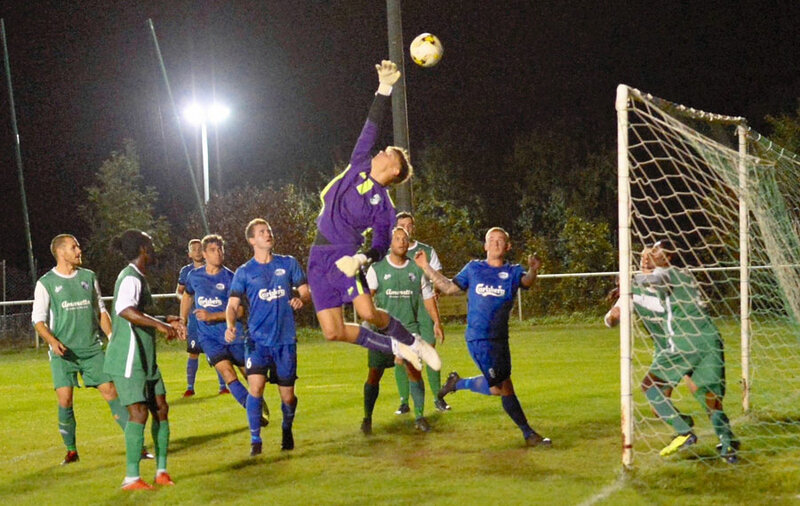 Jets had some scares, and the Town had two excellent chances one bravely saved by keeper Matty Evans risking a Tom Gibson boot also, and the second a superb tackle by recalled Gary Wallace saved the day. 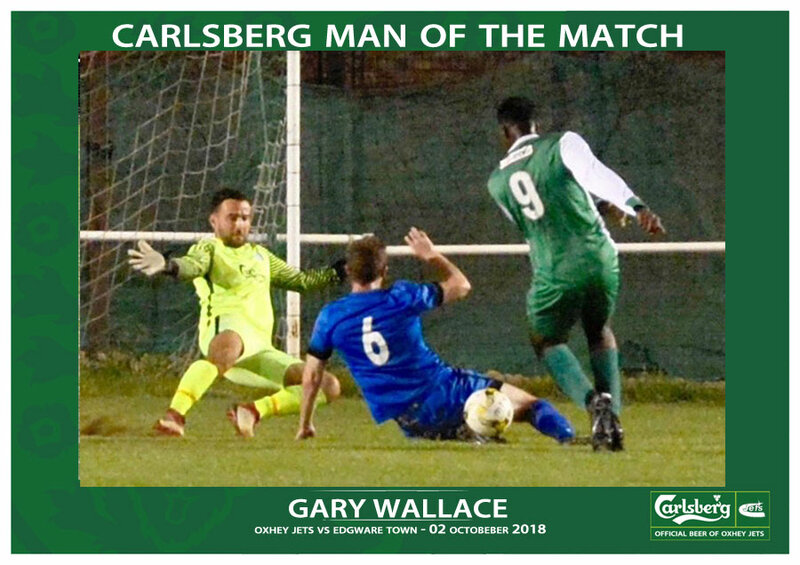 Excellent block byJets Man of the Match Gary Wallace. Jets almost had an early strike when the youngster nipped around the defence, and the keeper gathered well at the post. Jets thought they had scored but not over the line. 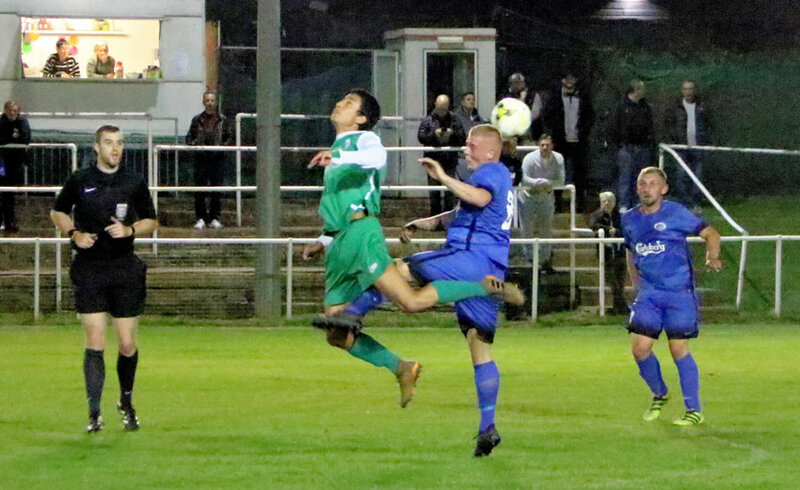 The most controversial moment was when Jets were sure they had scored before the ball was headed out, but this time the sharp-eyed photo by Len Kerswell on the line proved the match officials correct, it was well on the line, but not over it so no goal decision right. 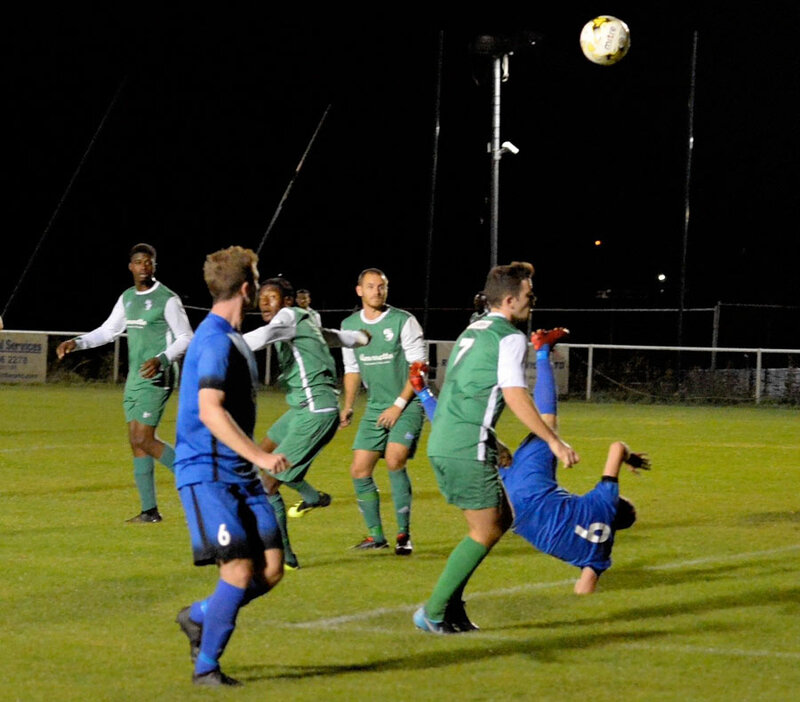 The second half saw a shift in the balance and Edgware closed down Jets options very well. Nick Kerley was not moving freely following quite a rap on the ankle/ leg and by the last quarter young Sean was looking tired. Almost the winner, right on the 90. Jets altered things with George Turner and Ollie Salami coming on to open up both wings, but Town had things bolted down. By the end, Jets were probably happy to hear the whistle despite a late chance that just whistled past the post with the keeper at full stretch. 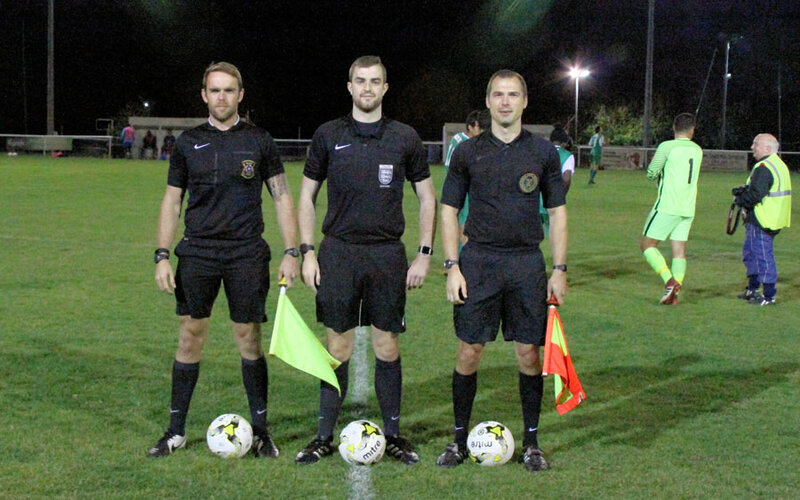 0-0 an excellent point for both, thoroughly deserved by both and very well conducted by the officials. Jets man of the match went to Gary Wallace on his recall as Jets kept an excellent and rare clean sheet. 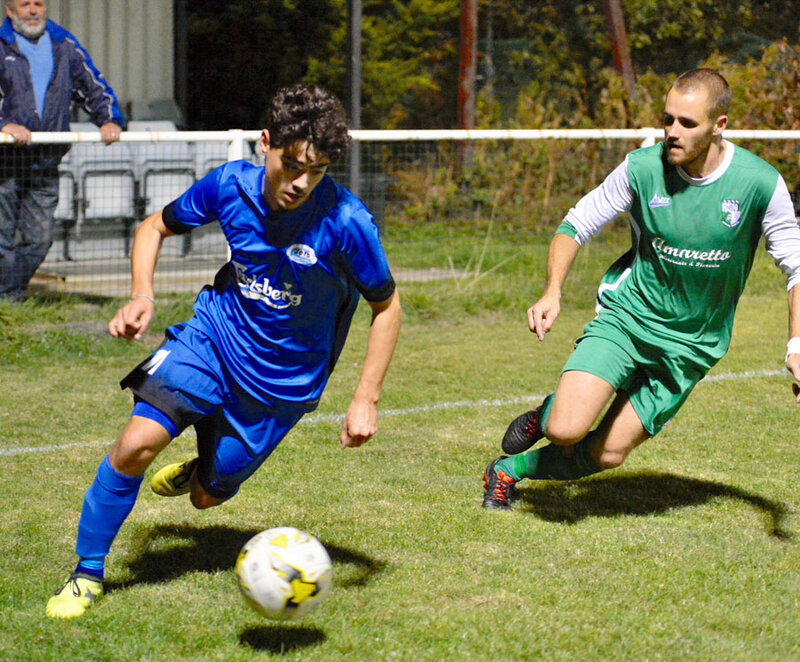 Next match is tough against one of the big-spending title favourites away to Leverstock Green on Saturday who have been raiding clubs to build a powerful squad and won’t be far away from the promotion spot at the season end.